Demetra and European GNSS Agency are located in a stand at the International Timing & Sync Forum (ITSF 2016) in Prague. The Experimentation Review 1 was held on 19th May, 2016. Among the participants there was also GSA representative, the Project Officer Valeria Catalano. The main objectives of the meeting were the discussion about the results of the Closed Loop Campaign and the future plan for the deployment of the services at User premises and the second phase of the experimentation. DEMETRA Consortium is glad to announce the 2nd DEMETRA User Workshops that will be held in Turin at the INRIM premises next May 20th, 2016. The entire demonstrator has been built and it is now testing new innovative timing services. 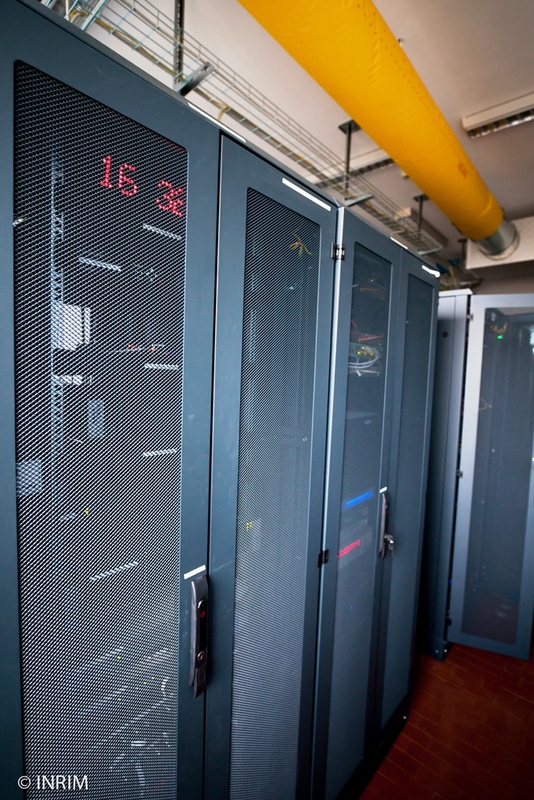 We would like to offer the opportunity to trial the DEMETRA Services to show improved timing service benefits with new features for future exploitation. Stakeholders working in the international timing and synchronisation arena are being given the advantage to evaluate a selection of innovative timing services. 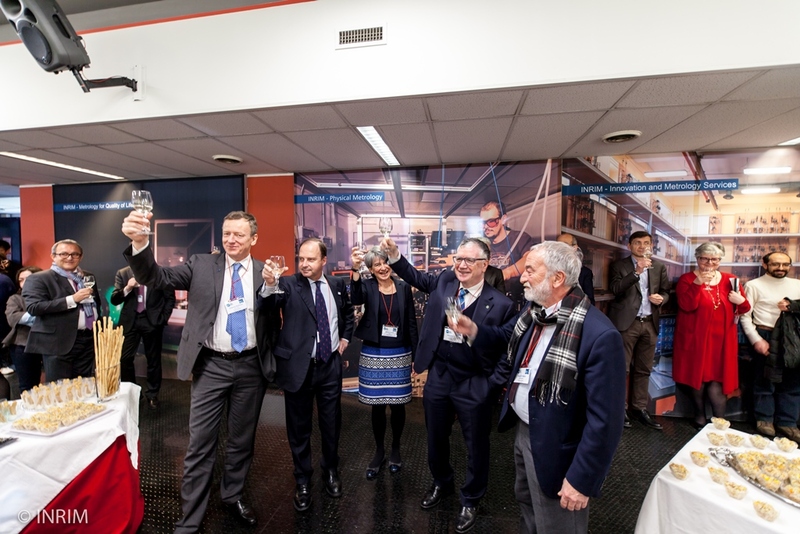 Based on cooperation between institutes and industries from Belgium, Finland, France, Italy, Poland, Spain, and United Kingdom, the DEMETRA Project is building a Galileo Time Service Demonstrator. The Project, which started in January 2015 and will end after 2 years, is now beginning the experimentation phase. 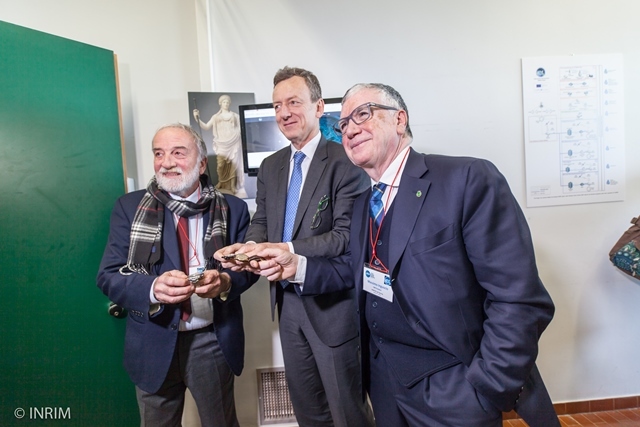 On March 4th, 2016 the Project and the nine different DEMETRA time services were presented during the Official Opening of the DEMETRA Laboratory. Other important representatives of stakeholders, potential users and media joined the event at INRIM: the DEMETRA Project Officer Omar Valdes Solorzano and the responsible of the Galileo Reference Centre Peter Buist from European GNSS Agency (GSA), Kjell Arne Aarmo (European Commission), Alberto Tuozzi (Italian Space Agency), Angelo Vallerani and Lucia Rotiroti (Compagnia Generale per lo Spazio, CGS), Giuseppe Viriglio (Telespazio), Antonio Abadessa and Diego Bruno (TMC Europe), Giuseppe Lenzo (Spaceopal), Piero Messidoro, Walter Pecorella and Francesco Martinino (Thales Alenia Space-Italy), Fabio Milani (Bluelectronic srl), Erika Petronilli (ANSA), Maurizio Menicucci (RAI), Elena Re Garbagnati (Tom's Hardware Italia). 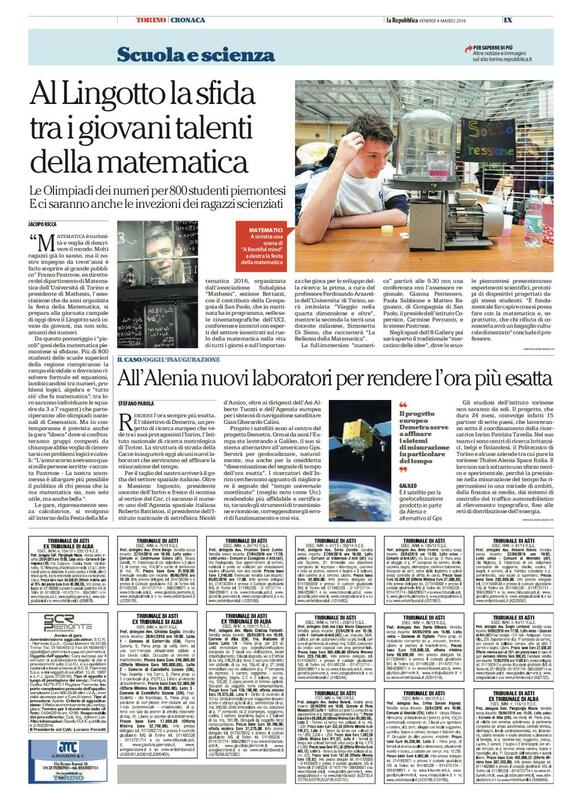 "All'Alenia nuovi laboratori per rendere l'ora esatta", La Repubblica available on click here. DEMETRA is ready for the Integration phase of the demonstrator . 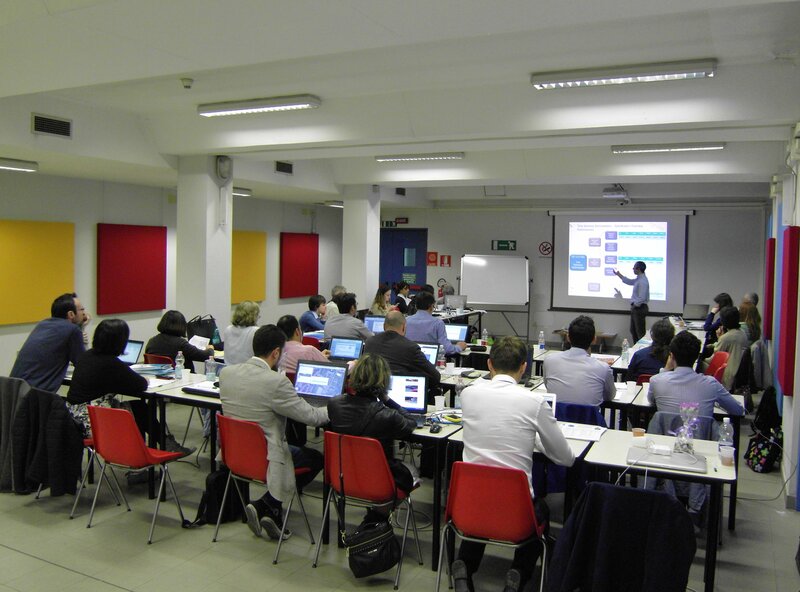 The fourth milestone "Qualification Review" was held the last November 25th and 26th at INRIM, Turin. Objective of the meeting was focused on the verification test that each developer has carried out on the prototype of each time service, in order to proceed to the integration of the system as part of the demonstrator infrastructure. 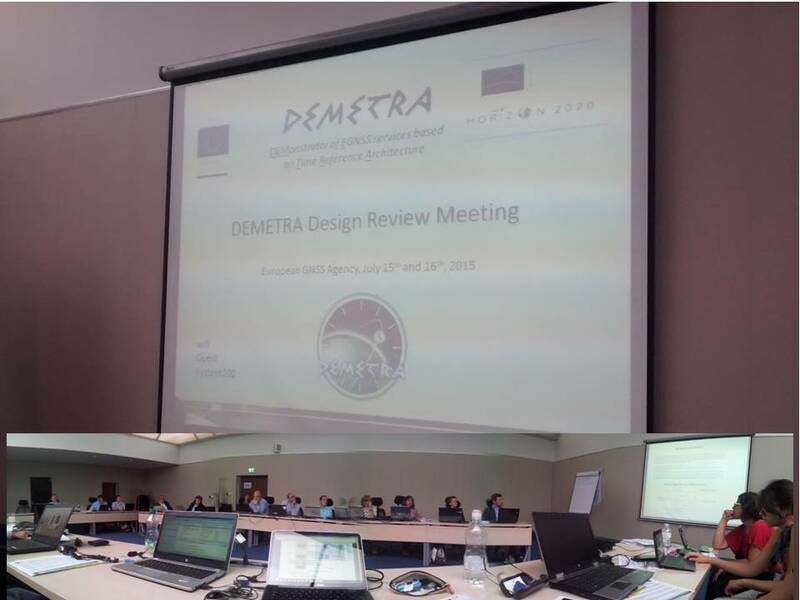 INRIM organised the "DEMETRA Design Review" and the "1st DEMETRA User Workshop" at the GSA premises in Prague. The Design Review was held on 15th-16th July. Among the participants there were also GSA representatives, the Project Officer Omar Valdes Solorzano and Adela Volfova. The main objectives of the meeting were consolidate the Demonstrator design with all the Partners and review the related documents; also a discussion on the Cost assessment was addressed. 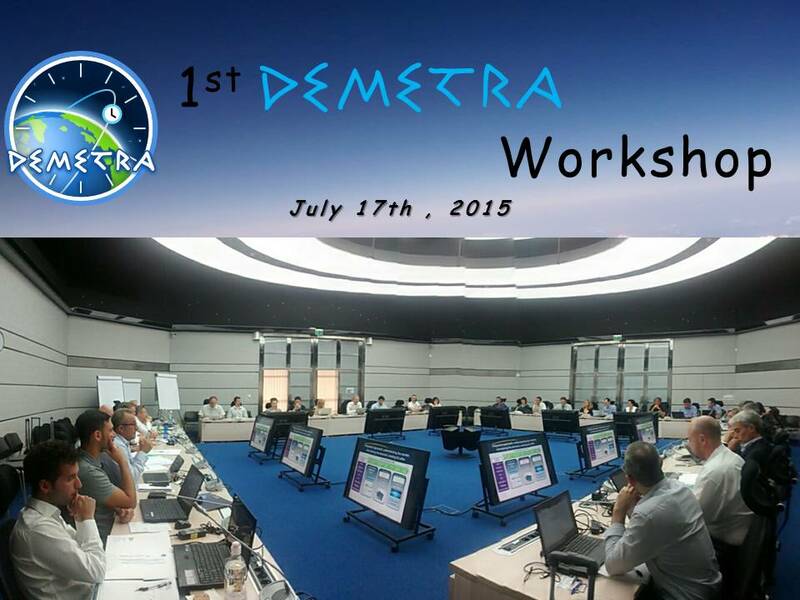 The second event 1st DEMETRA User Workshop was on 17th July, 2015. Several European Users from different market sectors took part to the workshop. Fiammetta Diani, GSA Deputy Head of Market Development, started the discussion talking about "Timing and Synchronisation in GSA strategy", then a representative of the European Commission, Jean Marechal, explained EC point of view about Timing Services. The workshop focus was to try to understand the actual user needs and how DEMETRA timing services could match them, through a proactive discussion with the possible users attending the meeting. 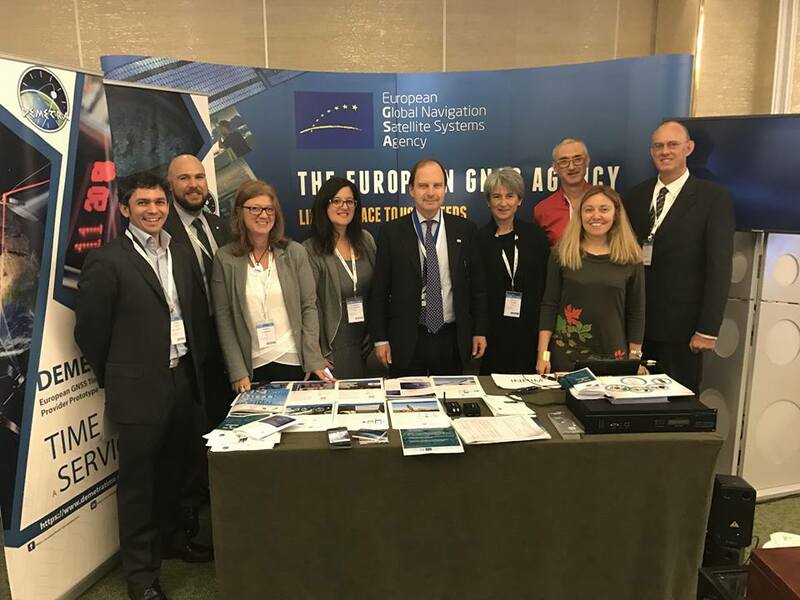 A special thanks to European GNSS Agency for supporting in organising the events and thanks to all the participants to the workshop. 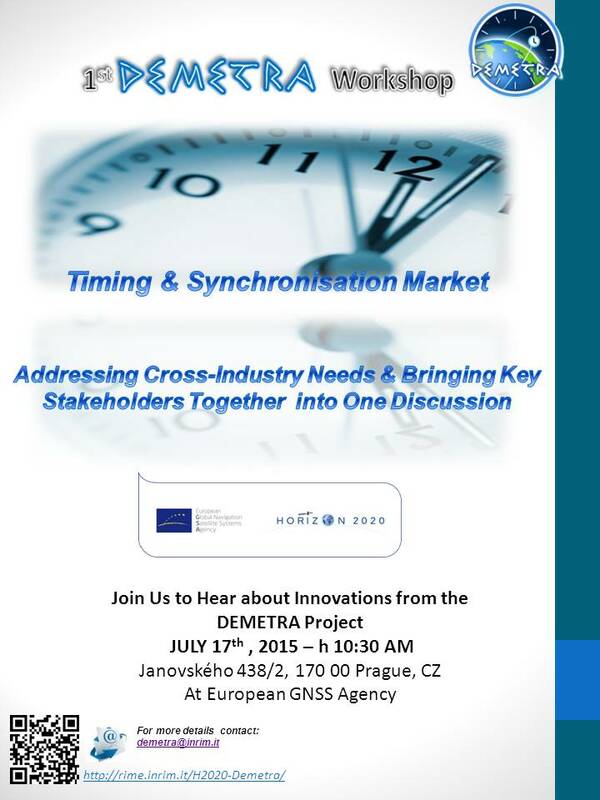 The first User Workshop on Timing & Synchronisation will be held on the 17th July 2015 in Prague at the European GNSS Agency premises. The goal of the workshop is to present the DEMETRA project in the context of the "Timing & Synchronisation" market and to exchange ideas with stakeholders including organisations , the Global Navigation Satellite System Agency and the DEMETRA partners to validate identified needs and to present timing services that will be demonstrated by the project. Click here for the final program of the 1st DEMETRA Workshop. Kindly GSA has provided transport and accommodation suggestions. 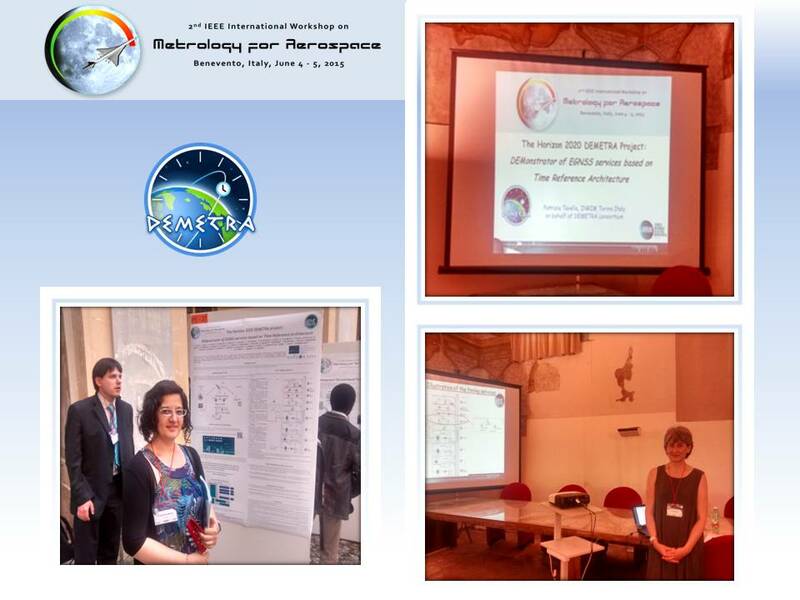 The last 3rd-5th June 2015 was held the second edition of workshop on "Metrology for Aerospace" in Benevento (Italy). 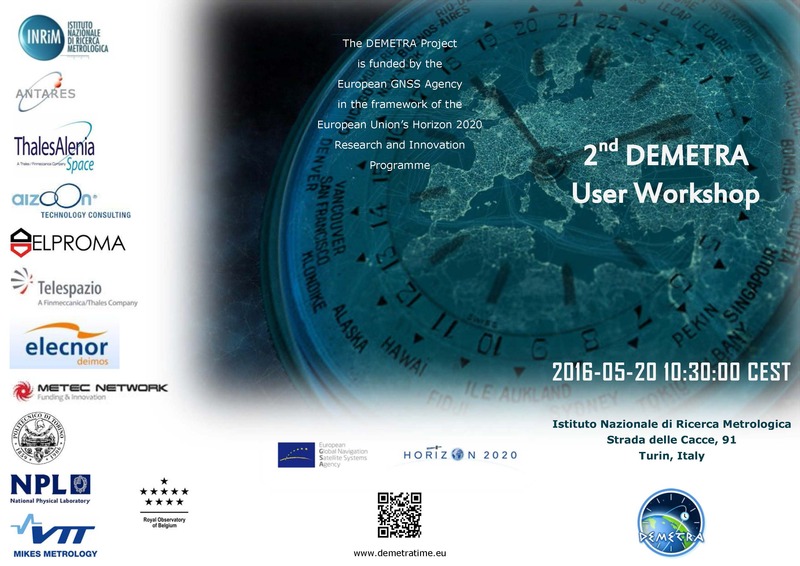 In this occasion, the Project Coordinator Patrizia Tavella has presented the first paper on the DEMETRA Project "The Horizon 2020 project DEMETRA: Demonstrator of EGNSS services based on Time Reference Architecture". The second DEMETRA Milestone was held at INRIM in April 23rd - 24th, with all European Partners. In this two days the object of discussion, as introduced in the previous news, was about specifications and the users needs. In this occasion has been decided, also the possibility to organise a Workshop to give the Welcome at DEMETRA Project in the Users' World. The new event DEMETRA Specification Review will hold at INRIM on 23 and 24 April 2015. The object of the discussion will be the requirements of the demonstrator and the User Need Analysis. 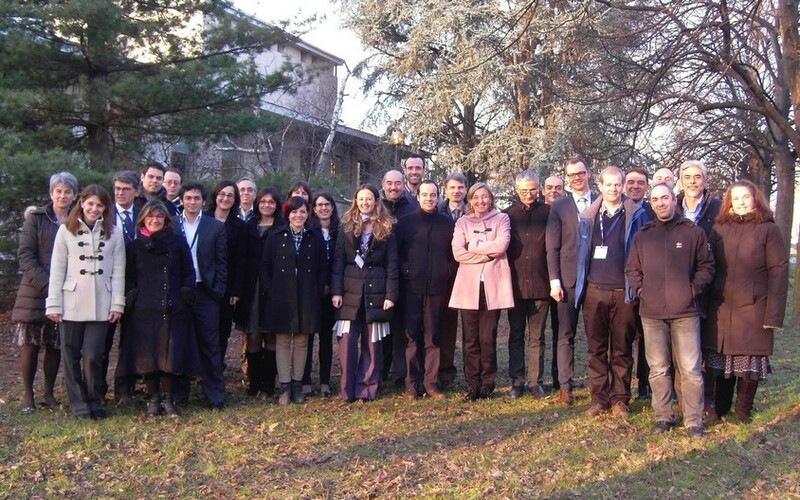 The DEMETRA kick-off meeting was held at INRIM on 20 and 21 January 2015. 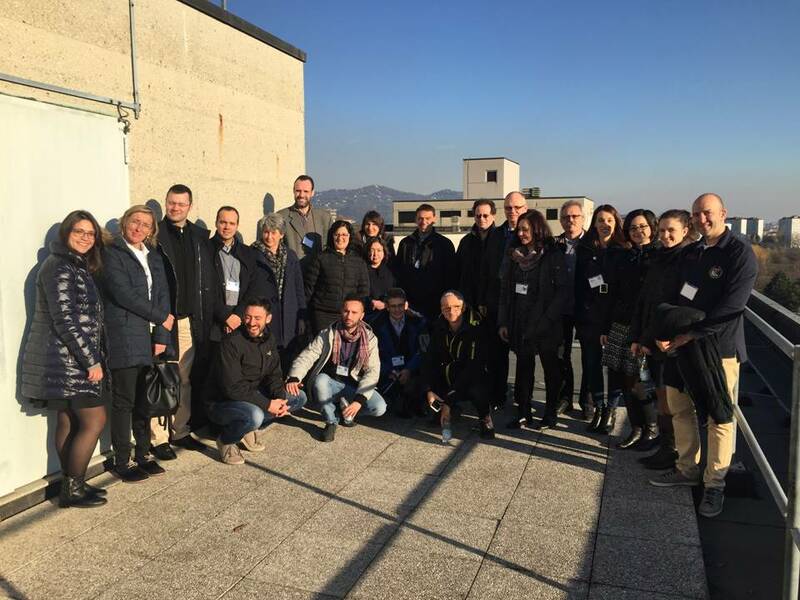 This was attended by representatives from the other partners involved in the project (aizoOn, ANTARES, Deimos, Elproma, METEC, MIKES, NPL, ORB, POLITO, TAS-I, TAS-F, Telespazio, VEGA) as well as INRIM and the Project Officer (GSA).